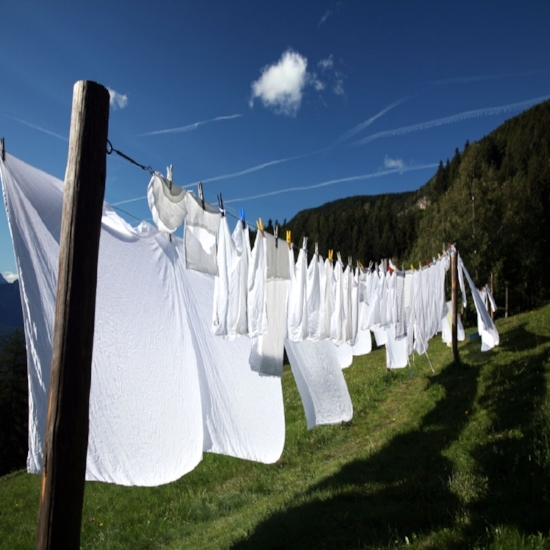 Gone are the days of fresh, clean laundry fluttering gently in the breeze, the power of wind harnessed, free for all! We are busy, modern people, and the idea of dragging wet, heavy clothes out-of-doors and displaying our pajamas and underwear for the neighbors to admire and the bees to take respite in doesn’t seem to be on our list of to-dos anymore. Enter the dryer. These magnificent beauties not only dry our clothes in perfect, fluffy splendor but can, with the aid of a dryer sheet, make them smell like they’ve been dried in a sunny heather-filled meadow. But, it doesn’t always work like that. So, what is the tip-off that your dryer is handing in its notice? The clothes take an exceptionally long time to dry. In fact, they may not dry at all but spin coldly and wetly for hours instead of ever drying. 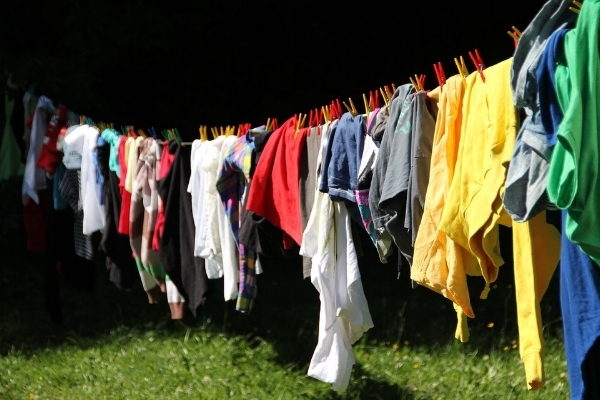 But often, it happens slowly at first, and the only way you notice in the early stages is by the length of time it takes the heavier clothes (blankets, jeans, towels) to dry. The clothes are too hot. 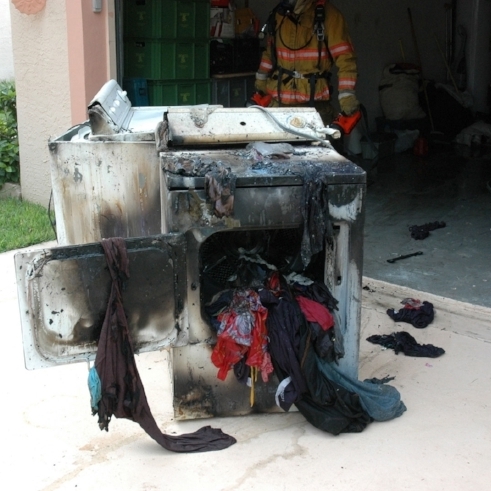 If your clothes come out of the dryer feeling like they’re on fire, it doesn’t mean your dryer is working extra well; this might be the prelude to an actual fire. Too-hot temperature is one of the signs of a dying dryer. If your dryer starts making weird noises, or something is off, the dryer has a problem. It may be repairable, which brings us to the next point. Repair bills are out of control. When your dryer starts requiring repairs consistently, or if the repair bill will be high, it doesn’t justify keeping an older machine, it’s time to look into replacing it. If a dryer is more than ten years old, it’s lived a good life in dryer years. Repair bills on a machine this old may only be marginally helpful at best. Clean the lint trap every single load. The lint trap is your dryer’s first defense against fire from a clogged vent hose. It will collect almost every bit of lint, but what escapes the trap does make its way into the vent hose. Clean the vent hose on a regular basis. Your manual will tell you how often. If you no longer have a manual, your vent hose will tell you how often by collecting residual lint. The rule of thumb is that cleaning it too often is better than not cleaning it often enough since a collection of fiber in the hose is the dryer version of kindling wood. Make sure the vent hose isn’t bent or crushed. The vent is the escape for the blowing hot air, so you never want it to be blocked. Sometimes the dryer gets pushed too far back, and this is how the vent hose ends up getting crushed. Only use a metal vent pipe. Plastic or flimsy vent pipes are not safe. Make sure the vent flap can open and is unobstructed. If the flap can’t open, this is another way to block the hot air in and create a fire hazard. Plants, empty boxes, and other objects sometimes get pushed up against the vent flap. Also, it’s a good idea to keep an eye on it to make sure it’s working because this might be your first tipoff that there is a problem with the dryer.